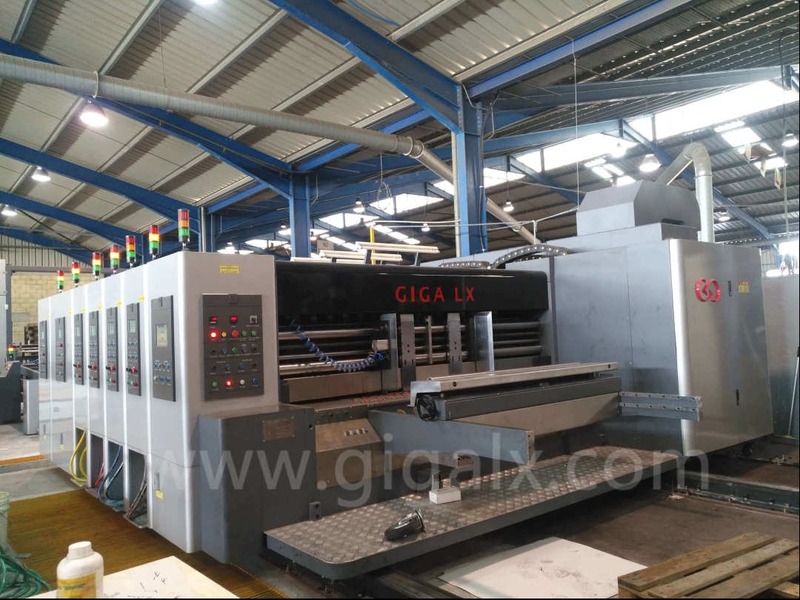 Corrugated Cardboard Printing Project in Cyprus Project in Nov 2017 in Cyprus, from start-to-finish, GIGA LX engineers team offer corrugated box printing production guidance & Instruction. Before he brings the LX-608N high-speed corrugated cardboard printing machine back to the country. The customer has been cooperating with us and buying carton machines for almost seven years. 7 years ago, our business started from a laminating machine, he bought from us and was quite satisfied with the performance and quality of the laminator machine. In his factory, he already had the corrugated box production line which is built by Langston in the United States. The Langston' production line ran over 12 years, some parts of the line can not keep up the pace, maintenance cost gain more and more, so the customer finally decides to update the corrugated carton production line, replace the old equipment. The customer purchased our LXC-360S single facer machine to replace his old single facer, after one year of using the fluted laminating machine. After that, the old line has been replaced gradually, another GIGA LX's single facer was equipped. 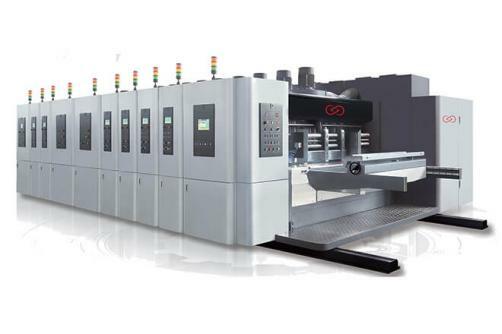 Upgrading is not ended yet, another LX-360S single facer was added to make two-layer cardboard, the cardboard veneered by laminator was used to make offset printing products. In 2017, he bought the LX-608CN high-speed corrugated printing machine 2500mm*1200mm four-color with slotting die-cutting press, equipped with the vibration waste cleaner and the stacking machine. Now fully armed, a strong willing to occupy a place in the high-end carton printing. 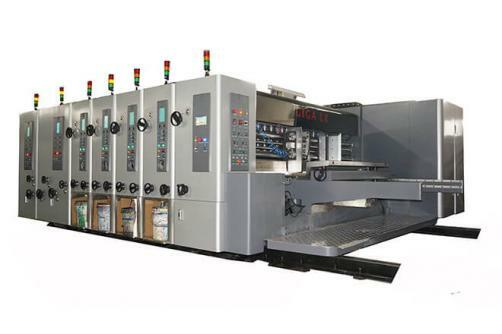 Then, the gluer machine, fully automatic flat die-cutting machine, horizontal hydraulic baler...etc. Products and item, especially the tile lines to be updated, are still in communication. Starting from a laminating machine, and then keeping order items from us, this is not only the quality of the machine is worthy of customer trust. But also are our after-sales service and quick response to his equipment issues matters. I feel super happy to satisfy customers, let them buy the carton machine and corrugated box printing assured. Still insist that good machines, good cardboard boxes, good business. GIGA LX would provide customers with a complete plant solution from-start-to-finish. And technical exchanges with customers.